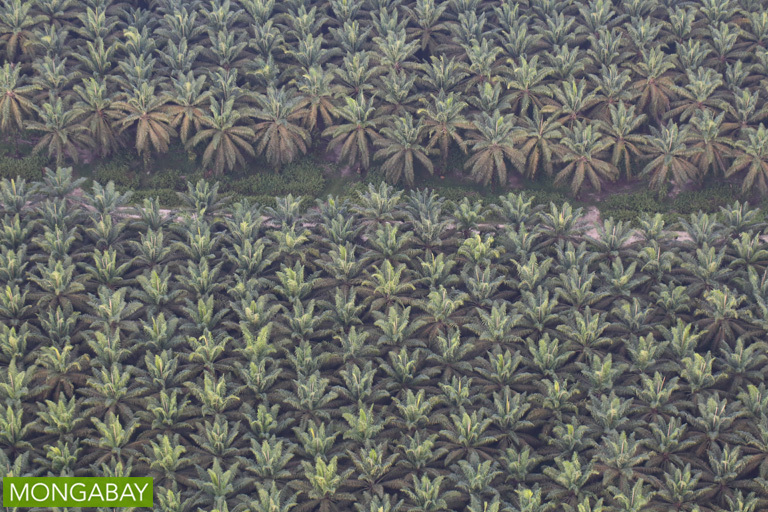 Will there really be enough sustainable palm oil for the whole market? More and more corporate palm oil users are promising to clean up their supply chains. But a new report says firms may have underestimated the availability of ethically produced oil, jeopardizing those pledges. A report by non-profit CDP suggests companies may have a false confidence in their ability to find enough sustainable palm oil to meet their commitments. Certified sustainable palm oil was in short supply last summer and prices spiked when two major producers were suspended by the industry's main certification association, revealing vulnerabilities in the supply. Better planning to secure future supply includes working more intensively with suppliers, says CDP. In the summer of 2016, two of the world’s largest producers of palm oil, which is found in everything from lipstick to margarine, lost the ability to market what they sold as certified by the Roundtable on Sustainable Palm Oil, the world’s largest association for ethical production of the commodity.The companies had been responsible for nearly a fifth of the global supply of RSPO-certified palm oil, which is increasingly sought after as corporate palm oil users commit to purge their operations of environmental destruction and human rights abuses, ills often associated with the industry. The subsequent strain on supply sent prices for the premium stuff soaring. A report (pdf) released in December by London-based nonprofit CDP, formerly known as the Carbon Disclosure Project, found that last summer’s spike in prices could be just a taste of what’s to come. “It is not clear, at this point, that sufficient supplies of sustainable commodities will be available to meet all of these targets, raising risks that some companies will be in breach of their commitments, or will otherwise face spiralling costs as demand races ahead of supply,” the report said. As the rapid expansion of oil palm plantations in Southeast Asia and, increasingly, in Africa and Latin America fuels rainforest loss, land grabbing and labor abuses, many industry players have set goals for cleaning up their supply chains by 2020. 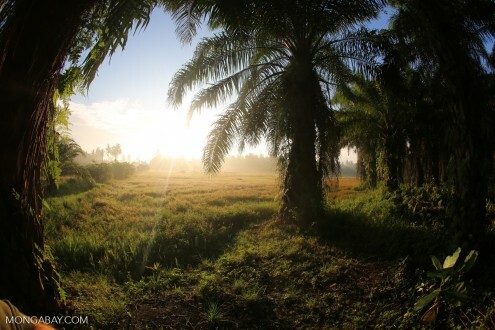 Oil palm plantation in Riau, Sumatra. Photo by Rhett A. Butler. Seventy-seven percent of the companies reporting on palm oil told CDP they rely on RSPO certification to ensure that what they buy is sustainably produced. In April 2016, the RSPO suspended the credentials of one of the biggest certified palm oil suppliers, IOI Group, after the Malaysian firm was accused of a raft of violations in Indonesia. Shortly thereafter, another major supplier, Felda Global Ventures, voluntarily withdrew certification from 58 of its mills in Malaysia after acknowledging sustainability problems. With these two suppliers out of the game, 18.5 percent of all the RSPO-certified palm oil in the world evaporated, according to RSPO affiliate GreenPalm. As a result, “the premium for sustainable over conventional palm oil jumped from $25/metric ton to $30-35, while that on palm kernel oil doubled, from $80-100/metric ton to more than $200,” reported CDP. The RSPO reinstated IOI’s certification four months after the suspension — too early, according to observers who were unsatisfied with the company’s roadmap for change and wanted to see more progress on the ground first. Nevertheless, the impact on the supply of RSPO-certified oil has lingered, as many companies remain reluctant to buy from IOI. McCoy said the spike sent a positive signal to producers, showing there is demand for sustainable palm oil. GreenPalm’s general manager, Bob Norman, also noted in a statement that the high prices were a boon to sellers, but an obstacle for buyers hoping to use RSPO-certified oil. In other words, 2016 showed that relying too heavily on a few certified suppliers can create risk. Price hikes can encourage plantation firms to create a certified product that’s in demand; but such hikes can also discourage some buyers from choosing the more costly certified products, undermining efforts for change. Mixed messages: shortage or plenty? While it’s possible enough certified palm oil will be available to meet growing demand, the key will be making sure buyers and sellers connect, according to RSPO communications chief Stefano Savi. Some of what the RSPO certifies ends up being sold under other schemes, such as the International Sustainability and Carbon Certification system, which is popularly used for palm oil destined to become biofuel in Europe. The remainder is sold as conventional palm oil. A more stable supply could be established by clearer communication between certified producers and prospective buyers, Savi said. 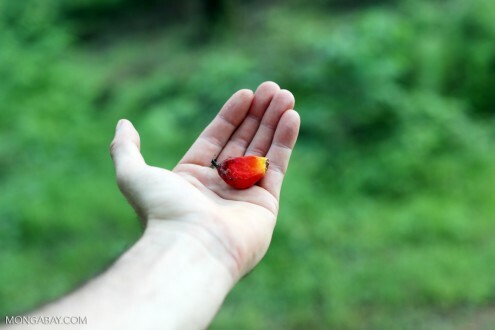 At present, demand for sustainable palm oil largely comes from Europe and North America, which consume a combined total of about 8 million metric tons of palm oil annually, according to the Sustainable Palm Oil Transparency Toolkit. In 2016, the RSPO certified about 11 million metric tons. Enough certified sustainable palm oil currently exists to meet the entire needs of these regions, if producers can successfully connect with buyers. At the same time, China and India combined import some 16 million tons annually. If demand for RSPO-certified palm oil grows in these areas, it could really strain supply if that supply doesn’t grow in tandem, said John Buchanan, senior director of sustainable food and agriculture markets at Conservation International, an NGO. McCoy, the CDP forests program chief, said the best way to ensure a stable future supply is for companies to foster sustainability in their existing supply chains instead of just looking for new sources that are already certified. While the CDP report highlighted the dearth of companies rigorously planning for long-term supply stability, some companies — like Latin American palm oil giant Agropalma — have solid plans for decades to come, McCoy said. That includes working intensively with suppliers, who often lack funds and a familiarity with the needs of international markets, to help them clean up their operations, she explained. When these numbers are boosted, she said, a stable supply of sustainable palm oil is likely to grow. And then there is the issue of the quality of the RSPO’s green label itself. The roundtable’s standard only protects old-growth primary forests and deep peat swamps. But the trend among companies now is to swear off clearance of any tract of forest or carbon-rich peat soil. It’s a frequently leveled criticism, to which the RSPO typically replies that it doesn’t want to raise the bar so high as to discourage uncertified firms from pursuing the existing standard. “Shouldn’t we get everyone to really start jumping before we move the post?” Savi asked. 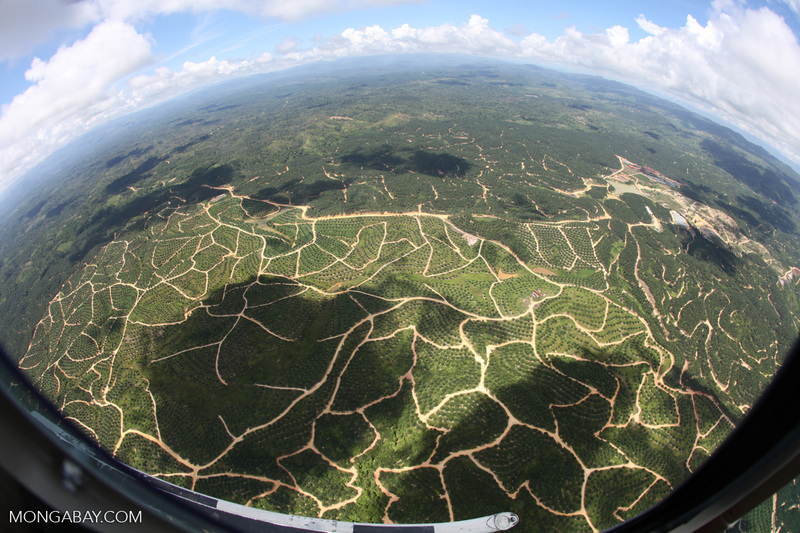 The RSPO did launch RSPO NEXT last year as an optional zero-deforestation tier for members. But there’s a worry that creating different levels of certification may devalue lower levels, Savi explained, making it tricky to find a balance that helps all players. 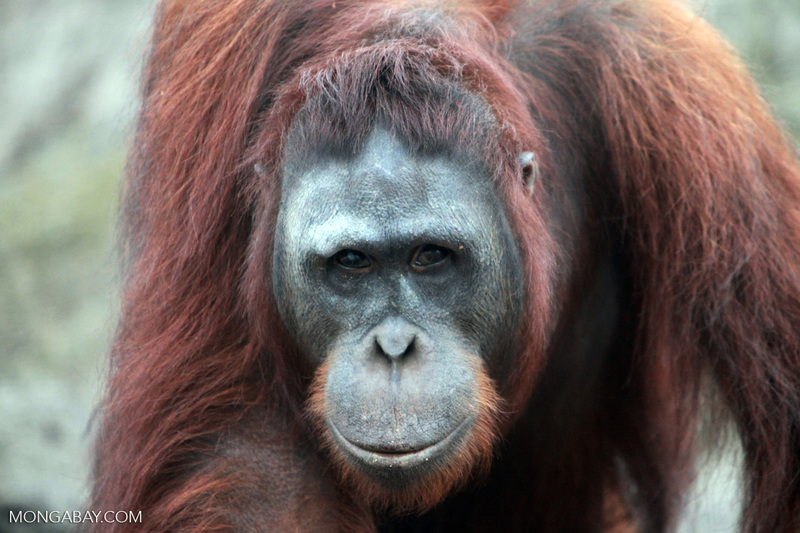 Savi acknowledged cases in which RSPO has failed to enforce its own standards, which undermines the value of its certified palm oil in the eyes of many. “We acknowledge there are a lot of issues in implementation. Sometimes things shy away from perfection,” he said.